Attached is a list of where and how to get Free Tampon Samples and Free Pad Samples either online, by mail (using a stamp) or in-store. Many freebies remain year-round, and many come and go, so you will see this list change time and time again. At many of these sites, you can also request a discount coupon. In the last several years, I've received so many free tampon and pad samples that I literally did not need to purchase these items any longer. Since I'm a great couponer and get many free items by couponing as well, I was able to get tampons and pads for free using coupons, then sell those at Yard Sales and on eBay for a profit, while using my free samples. Select your Country, then hit the "Get Sample" button and complete the form. If they're out of samples, they will offer you a coupon instead. If they're out of one sample, try for the other one - it may be in stock. Answer a few questions through their Personal Assessment Tool, then complete the form. Select the "Women's Samples" or "Men's Samples" tab, then select the free sample you want and complete the form. Select your sample, then couplete the form to get your free sample and coupon. You can request a $14 coupon, a $7 coupon and a $1 coupon from Tena! The $14 and $7 coupons can be redeemed for Free products at Walmart or Target and some other stores, especially if you catch the products on sale! Tena use to let you request the $14 and $7 coupons about once per month, now you can only get them about twice per year or once per year (to the same address), but it's still great. Select from the available sample packs, which are mixed with tampons, liners and/or pads, then complete the form. Follow the daily Freebies and Deals Blog and I will inform you when the free samples are available on these sites! This is one of the most reliable Free Sample programs around! You can always trust that you will receive their samples. Check their site frequently, as it is popular and the samples go fairly soon. They always have a variety of free samples. Their free samples go quickly, so I'd advise you check their page regularly. Target's free samples also vary widely and could include free razor samples, free skincare samples, free cereal and other free food samples by mail, free makeup samples, free shampoo or conditioner and more! Sam's club periodically offers free samples to their members on their website. You can check this page periodically. 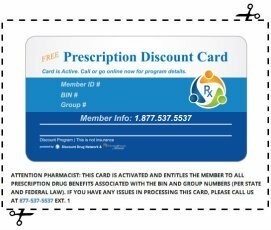 If you're not already discovering how to get free food, personal care items and other products using coupons, I also tell you about periodic free coupon match-ups on my freebies and deals blog. As I inform my readers through-out this website that groceries are the second largest expense for most people/families, so you need to save when and where you can! You can get lots of free food and free products simply by using coupons!